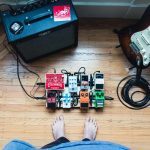 Here at Guitaarr, we are always reviewing pedals that are often overlooked, or stomp boxes and pedals which are used as accompanying pedals to overdrive and distortion ones. Basically, if you’re looking for a pedal which hasn’t made much of splash, but you fancy learning more about it, then we will cover it. Feel free to leave a comment below for any pedals you want us to review. 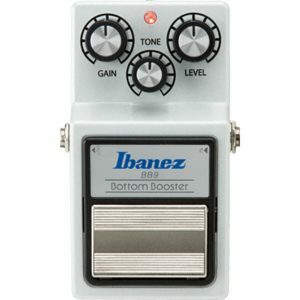 We feel that the Ibanez Bottom Booster is a pedal which is often overlooked. This is the perfect addition to any guitarists pedalboard, and ideal for players looking to boost their signal without losing the low-end tone. This is often an issue with overdrive and distortion pedals which are poorly calibrated, or when adding a distorted tone to a clean amp. This is also an inevitable issues for owners of tube or vintage amps, who want to ensure the original, crispy and clear tone is saved once a distorted, overdriven tone or transformed signal is initiated. With the BB9 Bottom Booster, this low-end can be saved. We’ve seen a couple of negative ratings regarding the Ibanez BB9, which we think (after extensive testing) is not really deserved. Let’s not forget, Ibanez are the company who brought the world the iconic TS 808 Tube Screamer, so they are no strangers to pedals (particularly overdrive pedals at that). Let’s look into what a bottom booster pedal is, how you can maintain your amp’s tone with the BB9, and what makes this pedals the ideal addition to any gigging guitarists arsenal. The BB9 is a true-bypass pedal, which means that your sound will not be affected once the pedal is switched off. To be honest, we recommend running this through the majority of your pedalboard, as if you’re a fan of your tone then you’re going to want to maintain it once a couple of pedals are stomped on. 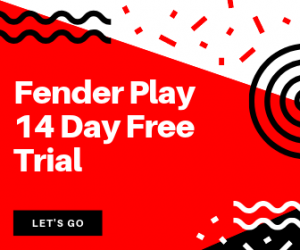 The pedal is designed to be used with overdrive and distortion pedals, with the specific aim of providing the guitarist with complete tonal control. This control comes in the form of gain, tone and level controls, so you can use this pedal to beefen up your sound, whilst staying true to the sound emanating from your amplifier. Perfect. This pedal cannot be overlooked if you want to get serious about how your guitar sounds. 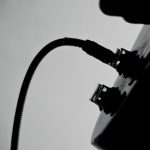 As reviews go, this one needs to be seen rathe rather than heard, so now that we’ve covered the technicalities, let’s take a look at a few demos and answer any outstanding questions you may have regarding bottom-boosting guitar pedals. For control, tone, looks and build we give this one a solid 5/5. 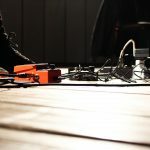 True Bypass means that your pedal is completely bypassed once switched off, meaning that once turned off it will not interrupt the signal across your pedal board. Can you use the Ibanez BB9 as a bass guitar pedal? This pedal is favoured by many bass guitarists, as it allows them to add to their already deep bottom-end tones. Where can I get the Ibanez BB9? 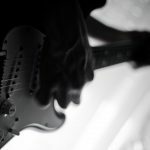 We recommend checking out prices either from Amazon, or from our favourite UK guitar store Gear4Music. Why do I need this pedal? You’ll want this pedal if you are a fan of total tonal control, particularly if you want a slightly-overdriven, crisp clean tone without changing the original sound of your amplifier. This is why the BB9 is favoured amongst vintage and tweed amplifier owners. Liked this post? Make sure you check out our extensive overdrive & distortion pedal guide.